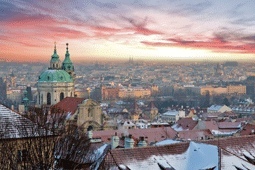 Prague is an enchanting city and is ideal for a short break – there are few other cities in Europe that can offer six hundred years of architecture so completely untouched by war or natural disaster. The Old Town (or Stare Mesto) is a beautiful maze of small streets ideal for getting easily lost and found in. Although it has plenty of new shops, galleries, cafes and bars, the Old Town’s most famous landmark is still the Astronomical Clock. The famous Charles Bridge leads you from the Old Town to Mala Strana (The Lesser Quarter) where the quaint oldy-worldy streets still wind and meander between palaces, churches and gardens. A five minute walk from the Old Town brings you to the Nove Mesto - or New Town - where Wenceslas Square is presided over by a horse-mounted St. Wenceslas, the country's patron and his retinue of saints. If you take a taxi in Prague we recommend that you use the AAA Taxi company; unlike some others, they speak English, are honest and prompt - call 14014. Prague – an old-world city that’s looking forward; as a city break destination it’s beautiful, affordable and easy to reach – treat yourself! Until quite recently dining in Prague was an adventure – it was hit or miss! – but with tourism hitting new heights, the restaurant industry has rearranged itself to meet, greet and feed its new patrons as they expect. That’s not to say that every restaurant will deliver, but it’s miles ahead of where it used to be. Ambiente Pasta Fresca, Celetna 11, Prague 1. Just off the Old Town Square, this gem serves Italian food and makes its own pasta. Dynamo, Pstrossova 29, Prague 1. This sleek designer diner serves continental dishes – above average prices for Prague. Kampa Park, Na Kamp 8b, Mala Strana, Prague 1. Choose between the stylish dining rooms or the riverside terrace to have you meal; a fine dining establishment. Baracnicka Rychta, Trziste 23, Prague 1. 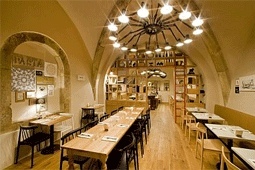 Located in Mala Strana this 19th century hall is split in two with a downstairs venue for gigs. Chateau Rouge, Jakubska 2, Prague 1. Just off the Old Town Square, this is the watering hole for the travelling twenty-somethings. James Joyce, U Obecniho Dvora, Prague 1. Just off the Old Town Square, it’s just like home! 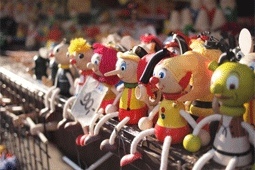 While the wooden puppets and mechanical toys are simply intriguing and ingenious, you might feel overexposed to them as there is such an abundance of these shops. The same rules apply to the crystal shops – they’re nice, unique but a few too many of them! The trick to shopping in Prague is to seek out the quirky shops in the side streets so don’t be afraid to go off the beaten track – there are many surprises waiting to be discovered. 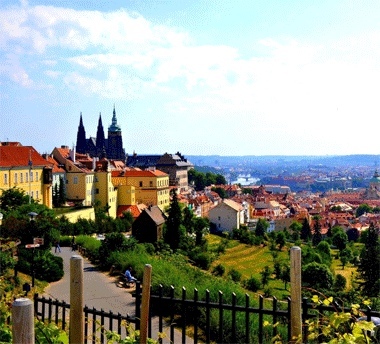 Landmark.....Prague Castle, overlooking the city. Museum.....The Lobkowicz Palace, within the Prague Castle. Pragues airport, Ruzyne, is located 15km northwest of the city. Bus # 119 leaves every 15 minutes from the airport and takes approximately 20 minutes to get to Dejvicka metro station at the end of the Metro Line A. 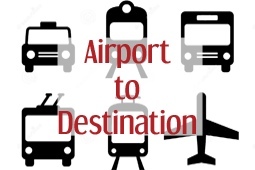 The simplest way into town is by taxi, which takes approximately 20-30 minutes, depending on traffic.